Prices are per roll. 24 cases per pallet. The blend range is a poly / cotton blend. Cotton long chains and poly covered rubber. Save without loosing that old world look. Try Classic Cotton Meat Netting. Place an order on line and we guarantee to refund you in full if not entirely satisfied with our service or products. See our 100% satisfaction money back guarantee for further details. We can take any size roll of meat net and customize it to meet your needs. PRE SOAKED: We can pre-soak in release agent or liquid smoke. CUT, CLIP AND SEWN: We can cut, pre-clip or sew you net to the correct size. 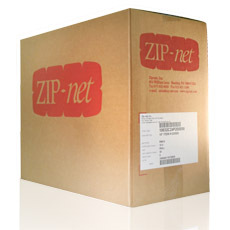 Try our NET SELECTOR to customize, price and order the net for you.